Constantly searching for the material that was necessary for the production of tools and weapons, man accidentally found the metal. It was copper. With the discovery of this metal occurred major changes in the lifestyle of the people at the time. 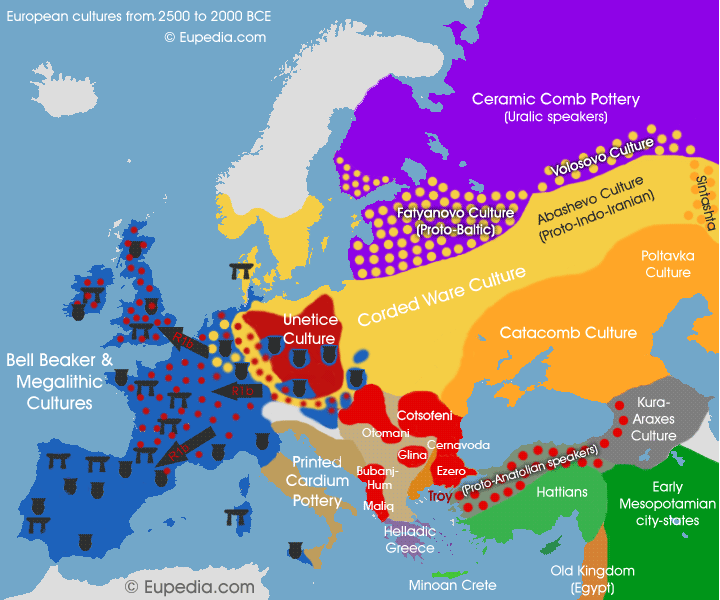 First, there were large population movements, which are known as Indo-European migrations. It happened in the third millennium BC, when on the territory of Eurasian steppes numerous tribes decided to relocate. One group was moving towards west on the European continent, the other group was moving to the east to Persia and India, and the third group moved to the south, in the area of today’s Middle East and Egypt. The invaders of mentioned area were very well organized, especially the military. They owned weapons, which were made of metal, and usually in their conquests, they used also horses. Eneolithic is the first or initial stage of the Iron Age. This is the period in which people started to use metal, i.e. copper, as a new material for making tools and weapons and other various artefacts. Objects made of copper, compared to objects made of stone, were much simpler, and easier to use and it lasted longer. However, poor distribution of the metal is its huge and substantial defect. Copper, usually was found on the surface layer of the earth, but only in small quantities. 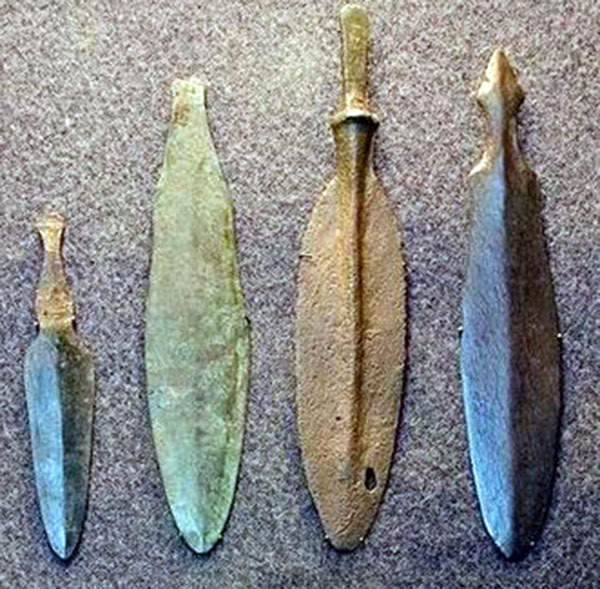 During the processing, some pieces of copper, people primarily noticed its softness, which was an important feature when it comes to designing tools and weapons. By hitting hard copper with sledgehammer, it became flatten, while its ends became much sharper than the stone objects were. This way of processing copper is called forging, and it is actually the oldest method in the development of tools and weapons, which are made from metal. In time, people have noticed that the copper on the strong heat starts to melt and as such, they started to use by pouring it and making various tools in that way. The molten copper was poured into already prepared clay moulds. This essentially established a new-other way of processing copper, or metal known as casting. The cradle of this metal is an area of Central Asia. Over time, especially at the beginning of the IV millennium BC casting of the copper was transferred to the valley of the Nile River, and then in many other parts of the world. The advantage of copper in relation to the stones was its softness. Copper was easy to process, but on the other hand, its poor ability to melt represented his big flaw. Therefore, copper did not have a particular purpose in making tools and weapons. People used it more to create a variety of ornaments, jewellery, awls, daggers, knives, etc. Because of that, stones still represented the basic material for making tools, especially the heavier and more massive one that were necessary for the survival of the man and his constant struggle with nature. Suppression of stone from an everyday use and increase use of metal happened after man successfully alloyed copper with lead, zinc or antimony and gain bronze. Bronze was a new material, which was much harder and relatively easily to melt. However, not even bronze completely suppressed stone, although the use of bronze in making tools, weapons, jewellery and other items with time, indeed, became widespread. This was done only with the invention of iron. 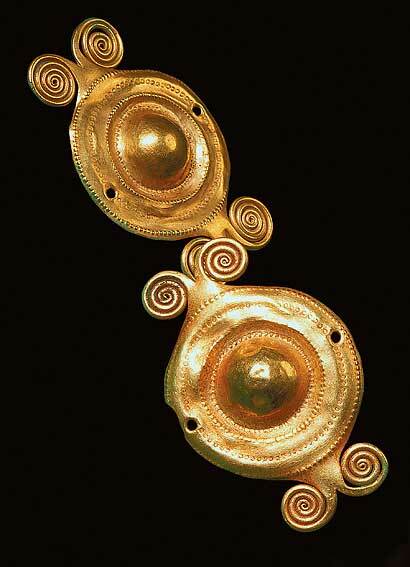 In the middle of the third millennium BC started Bronze Age. The homeland of Bronze Age is southern Iran and Mesopotamia. Later, the use of bronze spread over an area of Minor Asia between I and II millennium BC. Then during the II millennium BC, the use of bronze spread over valley of the Nile River, in Europe, India and China, and in the I millennium BC it spread on the American continent. The use of copper and then bronze marked a new and faster progress of productive forces, that is the beginning of a new economy based on the conquest of new technical procedures. In all this, the decisive role was played by everyday human labour, which constantly influenced the development of existing as well as new tools, and weapons. From the very beginning, metallurgy is based on the fundamental change of the raw material role used for making tools and weapons. Metal objects, which completed their working cycle or suffered certain damage, were not thrown away, but they were still used as a raw material. Therefore, gradually raw material begins to circulate, and with it, a process of production, the use and its reprocessing started to circulate as well. This is in total contradictions with the use of different minerals in the stone or flint production of tools, where there has always been a strong need for restoring an adequate raw material. .
Another important feature and advantage of the metal as a new raw material, which was used greatly in the early Eneolithic community, is the multiplicity of its use. The shape of each metal object with time could be changed, in accordance with its purpose and need. For example, jewellery or other small items could be processed into heavy tools or weapons and vice versa.